This young mare represents third generation of Maplewood Farm breeding. Her name hints to her ‘red’ color – Chekhova was the name of a powerful Russian double-agent’s mistress! A perfect blend of her sire and dam, the chestnut gene presented itself and along with it came the traits we love, chiseled dry features, tight skinned, hot-blooded, motion. 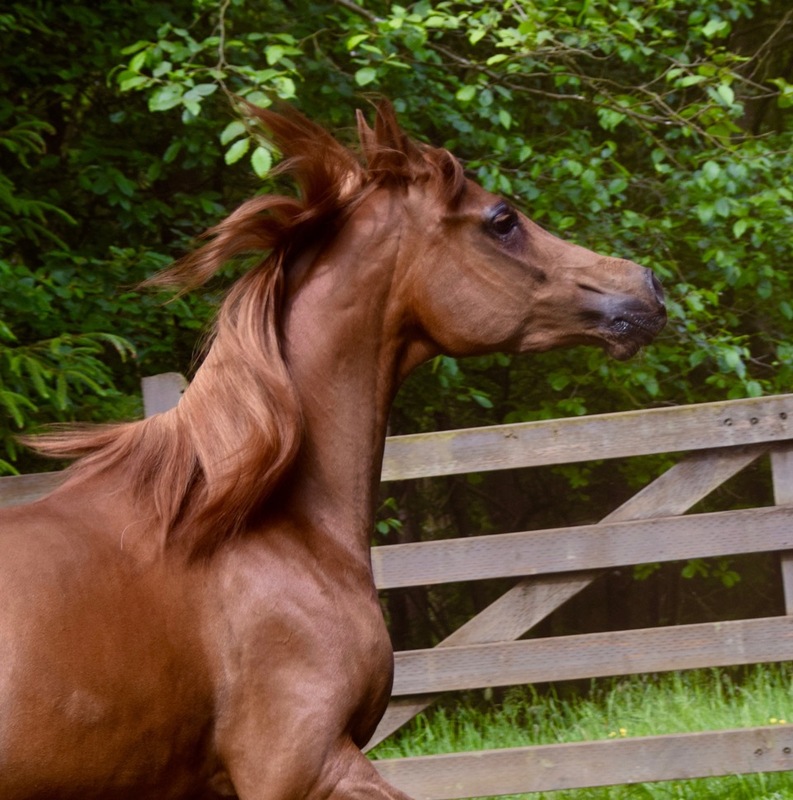 We look forward to using Chekhova as a breeding mare to contribute these traits, possibly to outsourced stallions – perhaps even chestnut ones to lock in these characteristics to our program. We believe the recessive chestnut gene and the color traiting associated with it, increases the predictability of outcomes. We shall see! This entry was posted in Mares on October 17, 2018 by Anthony Templer.